Falkirk is a large town in the Central Lowlands of Scotland, It lies in the Forth Valley, 23.3 miles (37.5 km) north-west of Edinburgh and 20.5 miles (33.0 km) north-east of Glasgow. Attractions in and around Falkirk include the Falkirk Wheel, The Helix, Callendar House and Park and remnants of the Antonine Wall. In a 2011 poll conducted by STV, it was voted as Scotland’s most beautiful town, ahead of Perth and Stirling in 2nd and 3rd place respectively. Falkirk is home to the Kelpies, which can be found at The Helix Park. From a local context the property at the north western side of Cobblebrae Cresent. 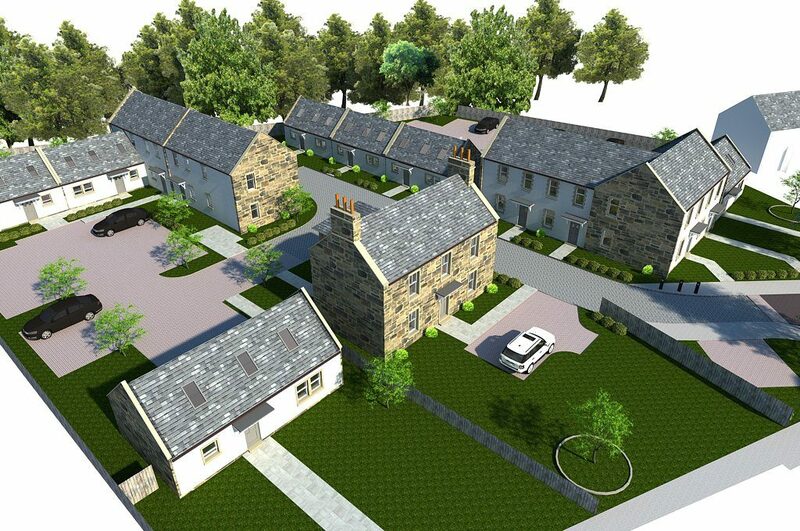 Full planning permission has been obtained for the development. There are no Section 75 agreements or other contributions to be made to the Local Authority. Due to the size of the site, there is scope to increase the development to 20 units (subject to planning).